This is an interesting commission as I was asked to design a piece of public art for a Crayfern Homes building development and decided to use the idea local residents have had as inspiration for my design. The residents idea is to plant trees voluntarily and create a green space [laid out as a large half circle] that goes all the way around the village. I decided an arch way with leaves, birds, a hedghog and trees is a perfect way to reflect this local project. 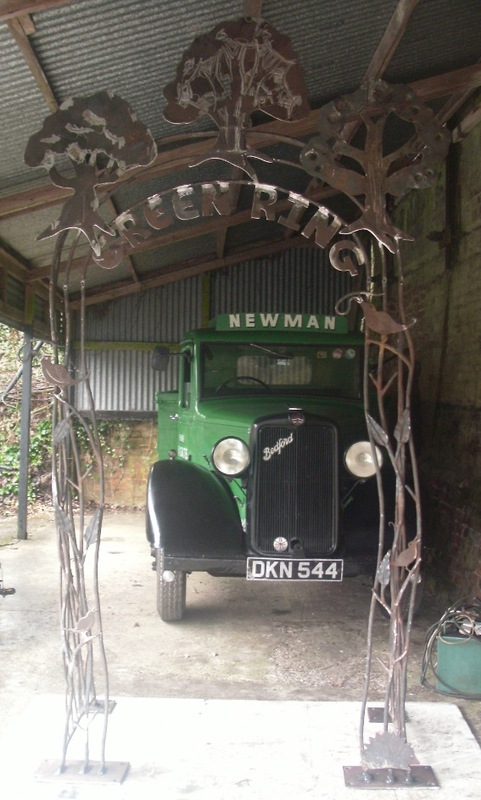 They then asked for the writing 'Green Ring' to insure all would know what this archway reflects. This is before it's galvanised and is 2.8 metres high by 1.4 metres wide.